Law schools do not teach marketing. You gained a wealth of knowledge as a law student except how to market that expertise to gain clients. While you’re a legal expert, you’re probably clueless about business development. Partnership requires you to be a “rainmaker.” Building a sizeable book of business fast tracks you for partnership. Rainmaking that sets you on the partnership path requires critical business development skills. Learning business development skills starts with mindset: You must feel comfortable marketing yourself. Consultants and coaches can help cultivate this mindset. They can also assist with branding messages, marketing plans and selling strategies. Choose the best ways to market yourself. Options include traditional marketing, media marketing and advertising, online marketing and social media. Develop your personal business development plan. Establish revenue goals, a goal-oriented activity plan and a review schedule to keep you on track. Transform yourself into a brand that attracts clients and grows revenue. Attracting clients to your legal practice requires a commitment to building business development skills. When you make that commitment, you’ll be empowered with the knowledge and skills needed to market the most important person – you! Isn’t it time you called the lawyers’ coach to see an increase in new clients? 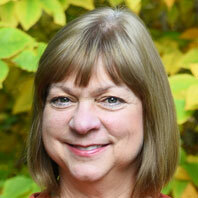 Author Bio: Denise Horan is founder and principal of Integrated Management & Sales Consulting. She provides results oriented solutions to help businesses grow sales, find new marketing opportunities and develop effective leaders. Learn more at www.denisehoran.com. Contact her at denise@imsconsulting.net.